Below are six individuals in Pelican Bay State Prison and Corcoran State Prison SHUs. All have been held in the SHU for over a decade, and participated in the previous two hunger strikes. All participated in the July 8th, 2013 hunger strike, despite some of them having medical conditions. J. Heshima Denham, 41 , Corcoran State Prison SHU. Denham has been in the SHU for over a decade following validation as a member of the Black Guerilla Family. As evidence of gang activity, he has reportedly has his cell raised by prison guards for Japanese artwork involving dragons; the dragon is a symbol of the BGF. “Solitary confinement must be defined by the effects this isolation and the torture techniques used to break men has on those so situated. We should know. All of us have been both with and without cellies over our periods of indefinite SHU confinement. Despite our level of development and continued advancement, it would be the height of hubris for us to contend this isolation has not adversely affected our minds and bodies. For anyone to consider these conditions anything less than torture could only be a prison industrialist or some other type of draconian public official. Todd Ashker, 50, Pelican Bay SHU. Incarcerated since 1984, he has been in the SHU since 1986, after prison officials deemed him a member of the Aryan Brotherhood, a charge he denies. He is one of the leaders of the hunger strikes. 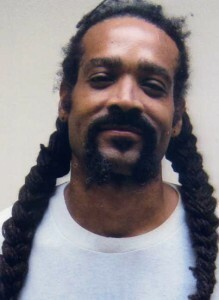 Kijana Tashiri Askari (Marcus Harrison), 41, Pelican Bay SHU. 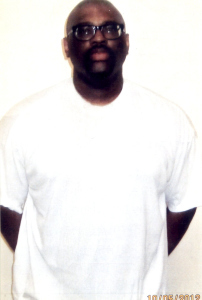 Following validation as a Black Guerilla Family member, he has been in solitary confinement since 1994. 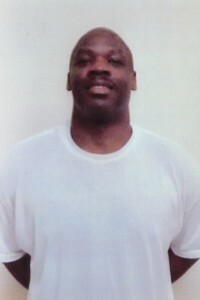 Michael “Zaharibu” Dorrough, 59 , Corcoran State Prison SHU. Dorrough has been in the SHU since 1988, following validation as a member of the Black Guerilla Family. He has subsequently been kept in the SHU for reasons including writing for black nationalist newspapers and eulogizing a deceased inmate who was a BGF member. “I was diagnosed with severe depression several years ago. At some point you know that the isolation has affected you. Perhaps permanently. It involves so many different factors. Particularly the isolation itself. Over the years you have seen other people snap. Human beings cutting themselves. Eating their own waste. Smearing themselves in it. And sometimes throwing it at you. Human beings not just talking out loud to themselves–but screaming at and cursing themselves out. Arturo Castellanos, 52, Pelican Bay SHU. 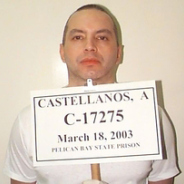 One of the leaders of the hunger strike, he has been in the SHU after validation as a member of the Mexican Mafia. Welcome to the education section of the Prisoner Hunger Strike Solidarity Coalition. More than 30,000 California prisoners initiated an indefinite hunger strike. They are calling on the Governor and the CDCR to meet their 5 Core Demands. California holds 12,000 people in extreme isolation at a cost of over $60 million per year. The cells have no windows, and no access to fresh air or sunlight. The United Nations condemns the use of solitary confinement for more than 15 days as torture, yet many people in California state prisons have been encaged in solitary for 10 to 40 years! In 2011, over 12,000 prisoners and their family and community members participated in statewide hunger strikes protesting the inhumane conditions in the SHU. California Department of Corrections and Rehabilitation (CDCR) promised meaningful reform. In February 2013, prisoners announced that another hunger strike would begin July 8th because of CDCR’s failure to fulfill that promise. That strike involved over 30,000 people locked in CA prisons, as well as hundreds of other prisoners, young and old, throughout the United States. “Three Thousand Years to Life,” a short documentary from 1973 when guards went on strike, prisoners took over Walpole State Prison (Massachusetts). Interactive timeline of California’s prisoner hunger strikes. A Survivor’s Manual for Solitary Confinement by Kijana Tashiri Askari (Nov. 2011) written for prisoners. Hunger Strike Recap: CA prisoners Showed the Way! (Aug. 2011) A thorough summary of the hunger strike that started at Pelican Bay July 1st, 2011. “The New Inquisition: Gang Validation” by Steve Champion. A piece written by Steve Champion, currently locked up in San Quentin State Prison, detailing how gang validation/labeling is used to criminalize and repress political thought, expression and action in prison. “Isolation, Indeterminate Sentences Used to Extract Confessions at California Supermax Prison” by Jeffrey Kaye, PhD (Psychologist in San Francisco), published July 2011. “Solitary Confinement is Cruel and Ineffective.” August 2013. Scientific American. “The Edge of Endurance: Prison Conditions in California’s Security Housing Units” published by Amnesty International, September 27, 2012. “Out of Control: The Battle Against Control Unit Prisons“, Nancy Kurshan, Counterpunch, July 5-7, 2013. “Lifetime Lockdown: How Isolation Conditions Impact Prisoner Reentry“, published by the American Friends Service Committee, August 8, 2012. BEYOND SUPERMAX ADMINISTRATIVE SEGREGATION: Mississippi’s Experience Rethinking Prison Classification and Creating Alternative Mental Health Programs by Terry Kupers, et al. “Growing Up Locked Down: Youth in Solitary Confinement in Jails and Prisons Across the United States” published by Human Rights Watch with the American Civil Liberties Union, October 10, 2012. “The True Cost of Extreme Isolation in New York’s Prisons” published by the New York Civil Liberties Union (NYCLU), which was published alongside a slew of graphics, prisoner letters and other media, October 2, 2012. Spring 2012 Issue of Dart Society Reports. The mission of the Dart Society is to connect and support journalists worldwide who advance the compassionate and ethical coverage of trauma, conflict and social injustice. The Spring 2012 Issue focusing on investigating solitary confinement in particular, and incarceration/corrections in general. 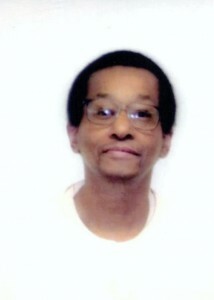 “Confronting Torture in US Prisons”, Angola 3 News & Alternet. June 2011 interview with activists/journalists and co-founders of Solitary Watch website, James Ridgeway and Jean Casella. History and purpose of solitary confinement & Pelican Bay, as well as media strategies for organizing against torture and imprisonment. Read A Visit Inside Colombia’s Most Notorious Prison, La Tramacúa by James Jordan from Alliance for Global Justice for a break down of why 54 prisoners have also begun a strike this June at La Tramacúa penitentiary in Valledupar, Colombia. Eight prisoners have sewn their own mouths shut-extreme measures due to extremely bad conditions. La Tramacúa was built with US funds and is part of an effort to transform the prisons on a US model. Let’s rock! The musings – or mental fog – of a hunger striker, by Gabriel Huerta, SF Bay View — this is a little gem, a classic that we republished in the April paper to give the guys a boost. 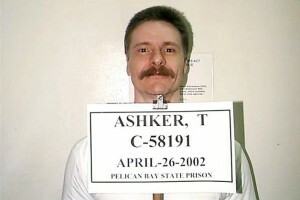 It inspired the name of a major newsletter for Cali prisoners, called Rock.